President Trump said in an interview published Wednesday night that former House Speaker Paul Ryan R-Wis., Reneged on a deal to the border wall while Republicans Controlled both houses of Congress. In an interview with the conservative website The Daily Caller, Mr. Trump said Ryan signed up for the wall if the president signed the 2018 spending bill. 1; people, criminals, gangs, you know, we need the wall. " The president signed the $ 1.3 trillion spending bill in March to avoid a government shutdown. Hours later, he voiced regrets. "I will never sign another bill like this again," Mr. Trump said at the time. "I'm not going to do it again. Nobody read it. It's only hours old." Mr. Trump's comments to the Daily Caller came just days after he inked a bill to reopen the government after a record 35-day shutdown. The bill also didn't include funding for his border wall. While Ryan was still the speaker in December, the House passed a bill that included $ 5 billion for the wall but the Senate had already passed a measure without that money. The House bill was considered dead on arrival in the Senate since it would need 60 votes to pass. Mr. Trump said it would not approve a budget without funding for the wall, leading to the government to shut down. Ryan left office at the end of 2018, and Democrat Nancy Pelosi took over as House speaker. Pelosi refused to negotiate with Mr. Trump, and the shutdown stretched on until Jan. 25, when the president agreed to sign a compromise bill to reopen the government that did not include border wall funding. Mr. Trump customs The Daily Caller Ryan "went lame duck," then it was "just a lot of work in people and the power was gone, so I was very disappointed." "I was very disappointed in Paul because the wall was so desperately needed. Trump said. Mr. Trump's State of the Union speech was delayed until Feb. 5 due to the shutdown. Rep. Bonnie Watson Coleman, D-N.J, said she will invite an undocumented worker who was fired as a cleaner at a Trump golf club after giving an interview to The New York Times. 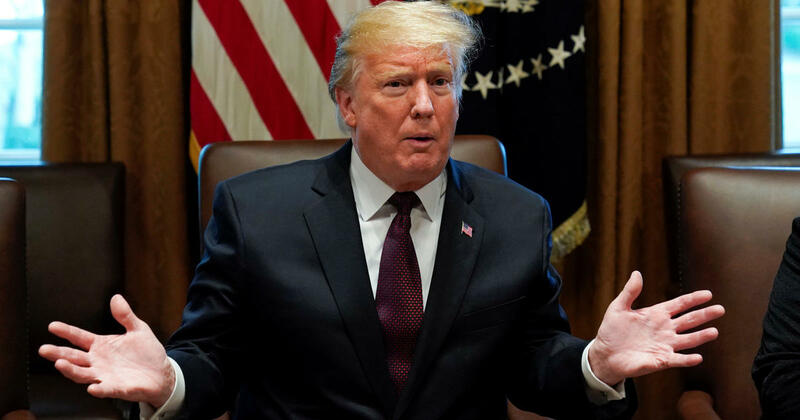 Mr. Trump customs The Daily Caller some of the guests will be inviting "will be border-related, some of them will be people who have suffered badly because we didn't have what we should have done in a very dangerous part of our country. " According to the website, Mr. Trump then directed senior staff to discuss meeting the issue. Mr. Trump also told The Daily Caller will "think about" asking the FBI to review its policies after the early morning arrest of his former campaign adviser and longtime ally Roger Stone. When asked how the investigation by special counsel Robert Mueller is being handled compared to the probe of Las Vegas gunman Stephen Paddock, Mr. Trump said, "You look at that by comparison to the Russian hoax, it's a shame." Mr. Trump also told The Daily Caller will let the Justice Department decide how to act Mueller's report. Mueller's Russia investigation is overseen by the Justice Department. "They'll have to make their decision within the Justice Department. They'll make the decision as to what they do," Mr. Trump said. In addition, the president said he has never spoken to Attorney General Matthew Whitaker about ending the Mueller probe. Whitaker said earlier this week the investigation is "close to being completed."